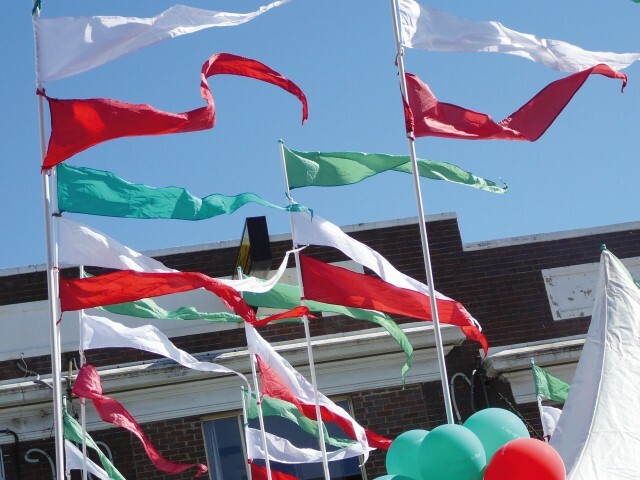 This year History Week, from 6-14 September, commemorates ‘The Great War’ and will be marked locally by displays and talks. More than 1600 people who lived or worked in the City of Canada Bay enlisted in the First World War. Displays at Concord Library and the City of Canada Bay Museum highlight the stories of some of those who served. The display at Concord Library includes the Drummoyne War Service Record which is on public display for the first time in many years while the museum display includes the Honour Roll from the former Rhodes Methodist Church. There will be talks by Patricia Curthoys and Greg Maunsell at Concord Library on aspects of First World War history. 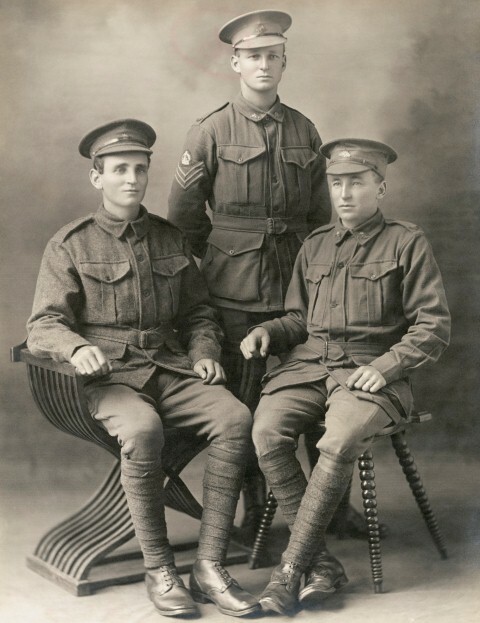 The photograph is of the Seabrook brothers of Five Dock: Private Theo Leslie Seabrook (left), Staff Sergeant (later 2nd Lieutenant) William Keith Seabrook (centre, rear) and Private George Ross Seabrook. All served with the 17 Battalion. Theo and George were both killed in action on 20 September 1917 near the Menin Road and William was killed in action nearby just one day later. The photograph is held by the Australian War Memorial (H05568, a digital copy is also held by City of Canada Bay with permission of the AWM). The anniversary of the First World War has generated considerable interest in the period, especially for those who are descended from men and women who served. To coincide with History Week, local researcher Gregory Maunsell will provide a guide for people wishing to trace Australian soldiers of the First World War. Greg has extensive experience through researching the soldiers of the Breakfast Point War Memorial. He has shared his knowledge of online resources through a webpage WWI Family History Research. Greg will be sharing his research experience at Concord Library on Tuesday, 16 September at 1pm. Bookings can be made at Concord Library or online. 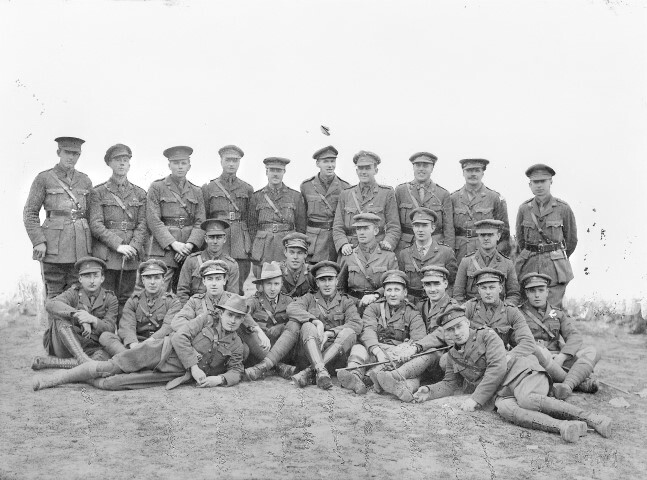 The photograph shows members of the 45 Australian Infantry Battalion prior to the attack on Messines Ridge, Belgium in 1917. Lieutenant Joseph (Joe) Kirman MM MC (back row, 8th from the left) was from Abbotsford. The photograph is held by the Australian War Memorial (C04454, a digital copy is also held by City of Canada Bay with permission of the AWM). This year History Week, from 6-14 September, commemorates ‘The Great War’. To coincide with the event City of Canada Bay Library Service will be hosting a History Council of NSW talk by Patricia Curthoys. ‘Prayers, parcels and poetry: the Protestant Church and the Great War’ explores the response of Protestant churches, in New South Wales, to the First World War. The talk provides a fascinating glimpse into this aspect of life on the home front during the war. Patricia’s talk will be at Concord Library on Saturday, 6 September at 2pm. Bookings can be made at Concord Library or online. 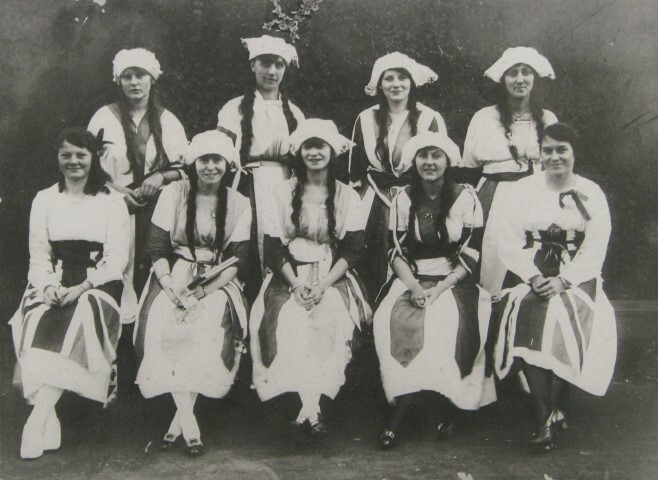 The photograph, above, shows women volunteers at Concord in about 1917, patriotically dressed for the war effort. 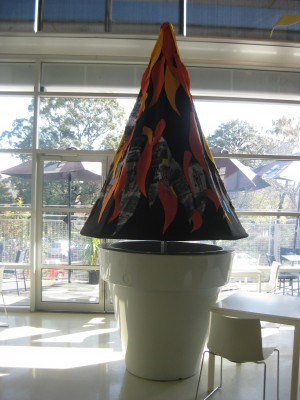 A recent addition to the landscape of Concord Library is a ‘tree’ in the cafe area. The leaves of the tree are made up of historical images of the Canada Bay area taken from the library’s digital collection, Canada Bay Connections. The tree has been created by the Embroiderers’ Guild NSW, which is based at Concord West, and joins other decorative trees made by the guild at the library. This is, of course, not the first time that the library’s photographic collection has been used creatively as part of a new artwork. Joanne Saad used images from the collection as part of her ‘I remember’ mural in Fred Kelly Place, while David Capra used elements taken from historical documents in the Local Studies collection to create his work ‘Gold Dust and Gemstones’ in the windows at Five Dock Library.